We realize that drinking at a party may seem harmless — up until the point when you can’t decide if you’ve had too much to be able to drive. And if you do decide that you are “OK” to drive, do you know what the process of being pulled over, arrested, and going to court involves? Before you get in the car after you’ve been drinking, making that decision could be easier when you understand what the consequences are, what steps are involved, and knowing that it all could take months to resolve. At Donahue Law Firm, we work to ensure you receive a fair chance at court. Throughout the process, everyone deserves an opportunity to be represented by an experienced DUI attorney who will offer you the best chance at coming through this process with minimal penalties. 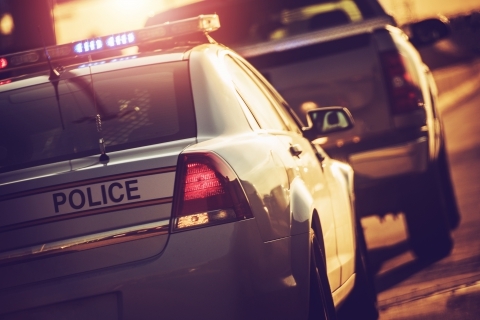 Keep reading to learn more about what happens after you are pulled over and contact our Bend law firm as soon as you can. Driving Erratically: If you are swerving slightly between lanes, the speed you’re driving at is inconsistent, or you don’t come to a complete stop at a Stop sign, these give officers a reason to pull you over and to ask you to perform a breathalyzer test. If your BAC level is above the legal limit, you can be charged with a DUI. Probable Cause: After pulling you over for driving erratically, if the officer has probable cause to ask for a breathalyzer test, he or she can do so. If the officer sees empty beer bottles or an open container, if there is a smell of alcohol or other illegal drugs, or if you are slurring your speech, these signs justify probable cause. Traffic Stop: A normal traffic stop could be anything from your tail light is broken, your registration is expired, or you ran a stop sign. In this situation, there could be probable cause to ask for a breathalyzer test. If you failed the breathalyzer test and were arrested, you will be taken to the station and the booking and charging process begins. Personal information such as name, date of birth, and other physical characteristics will be gathered, specifics of the situation will be taken down, officers will look to see if there is a criminal record, and your fingerprints and photo will be taken — all of which will be entered into your record. When at the station, this is the best time to call a DUI attorney who will guide you through the process. The bail amount is set based on whether or not there is a past criminal record, the seriousness of the current situation, and if there are signs that you may flee. If you are able to make bail, you will most likely be released; but until bail is posted, you will be placed in a holding cell. The first court appearance after being arrested is an arraignment before a judge. The judge will read the charges brought against you, if you don’t already have a DUI attorney you will be asked if you need one, you will enter your plea, changes will be made to your bail if necessary, and future court dates will be scheduled if you do not plead guilty. If you do plead guilty, the judge will decide your penalty and you won’t have to go back to court. If you decide to plead not guilty, the process continues with a preliminary hearing, DUI trial by jury, sentencing, and appeal if necessary. We will go into further detail on these last steps in our next post. Check back soon to learn more about the process of being arrested and charged for a DUI. 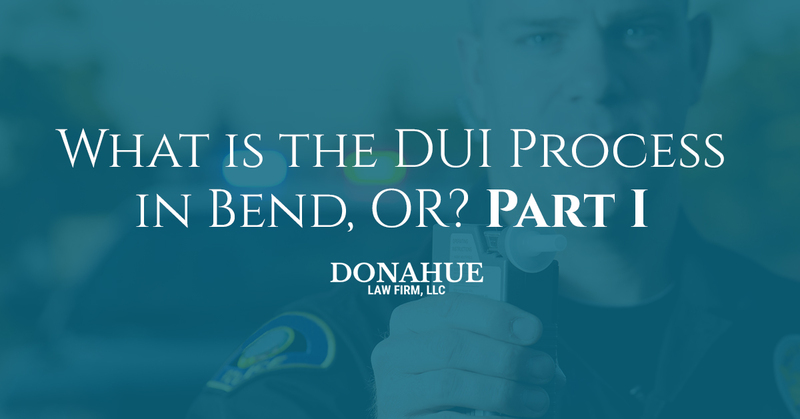 If you are facing charges, contact a DUI attorney at Donahue Law Firm as soon as possible. Our team will fight for your rights.